If you decorated pumpkins with Mrs. Cooper in Art Club, and have not picked up your pumpkin please do so TODAY. There will be no Merit on the Move TODAY. We will have class tomorrow. Put your Halloween costumes on TONIGHT, and join us for TREAT or TRUNK at GHS in circle drive from 5:00-7:00 p.m. Prizes will be given out for the spookiest trunks of the evening! Everyone is welcome! Attention Seniors: If you haven’t ordered your cap and gown yet, you still have time before the price goes up. Herff Jones will be back to take orders TOMORROW before school. You can also order online at https://highschool.herffjones.com. Creative Writing Club: TOMORROW is our NaNoWriMo kick-off! Come to the media center for some novel camaraderie any time between 7:45 and 8:15 a.m. You can start working on your novel, short story, or poems, brainstorm, or get feedback/bounce ideas off of other writers. We hope to see you there! Student Faculty Senate meets TOMORROW in the media center at 7:45 a.m. All club sponsors are expected to attend and club members are encouraged to attend. Anyone interested in joining Chess Club is welcome to attend the first club meeting TOMORROW after school in room 1060 from 3:45-4:45 p.m. Please see Mr. Cross with questions. If you’re a football player that wrestles you need to come to an important meeting at the start of practice TOMORROW at 4:00 p.m. You will get some information and your practice expectations. You need to be there TOMORROW if you plan on wrestling. 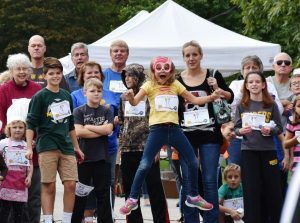 Come Support the GHS music department at the “Miles for Music 5K Run, 3K Walk & Pancake Breakfast” on Saturday, November 3rd @ 9:00 a.m. There is a $20 pre-registration fee before November 3rd, and it’s $25 on November 3rd or $6 if you just want the all-you-can-eat pancake and sausage breakfast. The fall sports recognition program will be on Thursday, November 8th at 7:00 p.m. in the main gym. All fall sport participants are expected to be in attendance. GHS will host a Red Cross blood drive on Friday, November 9th. Donor sign-ups are happening this week in social studies classes. The Student Athletic Council meets TOMORROW during the 2nd session of SRT in the main gym. All members are reminded to complete their application forms and bring them to the meeting. Forms can be picked up outside the athletic office. All sophomores, juniors, and seniors who will be involved with a sport team this school year are welcome to attend. Key Club will meet in the cafeteria TOMORROW during the 2nd session of SRT. Students who missed the last meeting or have not yet turned in their application should plan to pay the membership fee plus the late fee. Applications are available in Mrs. Dubash’s room, 1170. Also, please bring trick-or-treat for UNICEF collection boxes to the meeting. The next French Club meeting is Tuesday, November 6th in room 2410 during the 2nd session of SRT! T-shirt order forms and money are due, and we will briefly discuss our crepe/hot cocoa fundraiser. Also, Christmas is just around the corner, and French Club will have a secret Santa/white elephant gift exchange at the December meeting! If interested, come find out more. We hope to see you there! Purl Street will be closed from the railroad tracks to 5th Street starting Wednesday morning (October 31, 2018). It will be paved on Saturday, November 3rd. This will impact Goshen High School and the GCS Administration Center. Please use alternative routes and give yourself extra time to get to the GHS/Administration campus. Student Faculty Senate meets this Thursday in the media center at 7:45 a.m. All club sponsors are expected to attend and club members are encouraged to attend. Put your Halloween costumes on TOMORROW and join us for TREAT or TRUNK at GHS in circle drive from 5:00-7:00 p.m. Prizes will be given out for the spookiest trunks of the evening! Everyone is welcome! There will be no Merit on the Move this Wednesday, Halloween. We will have class on Thursday. The Crimsonaire Fall Preview is TONIGHT at 7:30 p.m. General seating tickets are available at the door for $4. Come to see a review of song and dance from the jazz age until today featuring small groups and soloists. It’s sure to be a great show! French Club: T-shirt order forms can be picked up during SRT in room 2430 or during your French class! Completed forms and money are due at the NEXT MEETING on Tuesday, November 6th, or can be turned in to M. Hobbs or Mlle Mack any time before then. Attention Seniors: If you haven’t ordered your cap and gown yet, you still have time before the price goes up. Herff Jones will be back to take orders on Thursday, November 1st before school. You can also order online at https://highschool.herffjones.com. 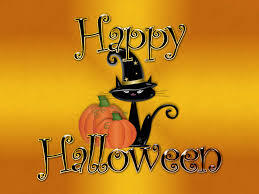 There will be pumpkin painting during Art Club in room 1450 TODAY during the 2nd session of SRT…very cool! We have fabulous big pumpkins! There will be a meeting TODAY for all students interested in the marine biology trip during the 2nd session of SRT in room 3070. If you have any questions about the trip, please see Mrs. Weaver in room 3070 or her office in room 3030. We hope you all enjoyed fall break! Are you looking forward to being back and making a great impact on GHS? Join us for our October Student Council meeting TODAY during the 2nd session of SRT in the auditorium. If you have questions, please email Mrs. Walters at awalters@staff.goshenschools.org. The Student Athletic Council meets this Thursday during the 2nd session of SRT in the main gym. All members are reminded to complete their application forms and bring them to the meeting. Forms can be picked up outside the athletic office. All sophomores, juniors, and seniors who will be involved with a sport team this school year are welcome to attend. The GHS Music Department will host the annual Miles for Music Fundraiser on Saturday, Nov. 3rd at GHS. The event will begin with a 5K Run and a 3K Walk. Pancakes included with run/walk entry. $6 for the Pancake Breakfast only. The Crimsonaire Fall Preview is Tuesday, October 30th at 7:30 p.m. General seating tickets are available at the door for $4. Come to see a review of song and dance from the jazz age until today featuring small groups and soloists. It’s sure to be a great show! There is a Spell Bowl competition after school TODAY! Meet in room 3190 after school to go over the plan and get ready to leave. If you have questions or comments, email Ms. Pobocik at ppobocik@staff.goshenschools.org. Friday, November 9th GHS will host a Red Cross blood drive. Donor sign-ups are happening this week in social studies classes. There will be a meeting TOMORROW for all students interested in the marine biology trip during the 2nd session of SRT in room 3070. If you have any questions about the trip, please see Mrs. Weaver in room 3070 or her office in room 3030. We hope you all enjoyed fall break! Are you looking forward to being back and making a great impact on GHS? Join us for our October Student Council meeting TOMORROW during the 2nd session of SRT in the auditorium. If you have questions, please email Mrs. Walters at awalters@staff.goshenschools.org. Friday night the RedHawks took on the Blue Blazers in the second round of sectional action at Elkhart Central. The RedHawks lost to the Blue Blazers 19-0. Bryant Grewe led the offensive running game for the RedHawks. Wesley VanHooser also ran the ball well. Defensively the RedHawks were led by Drew Marlow. He had 19 tackles, with two tackles being for loss. Daveyon Sanford had one fumble recovery, an interception, and eleven tackles. Bryant Grewe had one forced fumble. Dominic Sosa also had eleven tackles as well. Girls varsity basketball will play at Bethany at 6:00 p.m. Good luck ladies! Here is the link for today’s episode of GTV: https://youtu.be/2K0BRycq-m0 Some highlights from this episode: We spoke with Eliana Spitler and Mrs. Long about Drama Club, Ms. Villalobos tells Drew Sweetser how she can help you with as GHS’s College Coach, and in sports, Cormac tells us about the honors received by several lady RedHawk soccer players. The 2019 High School Student of Integrity scholarship is available in the Guidance Office. To apply the student must be a U.S. citizen, a legal resident of Indiana, and be in the spring 2019 graduating class. Do you have a book to read over fall break? If not, stop by the library to get one! You can also use your eResource card to access eBooks, movies, music, and more next week! Key Clubbers, do not forget to get your t-shirt order in by TODAY! If you have not turned in your application, you still can – it is just $20 now. If you need an application or t-shirt order form, they are on the bulletin board outside room 1170 across from the media center. GERMAN CLUB: Remember that Toblerone, Haribo, and t-shirt orders are due TODAY! Turn in your money and paperwork to Mrs. Bruder, Mr. Collins, or Mr. Graves. Our next meeting is Tuesday, November 6th. The Crimson Marching Band will perform TOMORROW at East Noble High School. Their performance time is 9:20 p.m. If you are interested in being a wrestling manager please contact Coach Pickard. There will be a meeting for all students interested in the marine biology trip during the 2nd session of SRT on Tuesday, October 30th in room 3070. If you have any questions about the trip, please see Mrs. Weaver in room 3070 or her office in room 3030. Boys cross country will compete in semi-state at IPFW at 1:45 p.m. Good luck gentlemen! PLEASE NOTE THAT SPANISH TRANSLATION WILL NOT BE AVAILABLE THIS WEEK FOR AFTER HOURS…..Homework help is available every Tuesday and Thursday in the media center from 3:45-5:00 p.m. You must be in the media center by 3:50 p.m. in order to stay for this, and dismissal times are at 4:30 p.m. and 5:00 p.m. You are expected to exit the building through door FF, which is located by the stairs just down from the media center. A bus will be available around 5:10 p.m. if you need a ride home. This bus is for students who stay for after-hours help ONLY. It will pick you up at the south end of circle drive by the flag pole. This is a great opportunity if you just need a little extra time or even just a quiet place to do your homework at the end of the day. Key Clubbers, do not forget to get your t-shirt order in by TOMORROW! If you have not turned in your application, you still can – it is just $20 now. If you need an application or t-shirt order form, they are on the bulletin board outside room 1170 across from the media center. GERMAN CLUB: Remember that Toblerone, Haribo, and t-shirt orders are due TOMORROW! Turn in your money and paperwork to Mrs. Bruder, Mr. Collins, or Mr. Graves. Our next meeting is Tuesday, November 6th. The Crimson Marching Band will perform Saturday at East Noble High School. Their performance time is 9:20 p.m.
Creative Writing Club: Our next meeting is TODAY in room 2430 during the 2nd session of SRT. We will be prepping for NaNoWriMo! If you don’t know what that is, no worries! We will have a short presentation about NaNoWriMo and then set goals, look at prompts, play some speed games, and start writing! Also, don’t forget to bring a ten line poem without the letter T about fall/Halloween. Hope to see you all there! GHS girls soccer senior captains all received conference awards this week. Congratulations to Aniya Hartzler and Maggie Gallagher in being named to the NLC all conference girls soccer team! Kyrah Fletcher was named an honorable mention selection. Congratulations to Ciro Aguilar for being named to the First Team All District Boys Soccer Team this Fall! Ciro was voted as one of the top soccer players in the area and will be playing in the District All Star games November 17th-18th at North Central High School in Indianapolis. Ciro Aguilar, Sergio Gonzalez, and Ricardo Vargas have been named as NLC all conference players. Efren Ortega was NLC Honorable Mention. Key Clubbers, do not forget to get your t-shirt order in by Friday! If you have not turned in your application, you still can – it is just $20 now. If you need an application or t-shirt order form, they are on the bulletin board outside room 1170 across from the media center. GERMAN CLUB: Remember that Toblerone, Haribo, and t-shirt orders are due this Friday! Turn in your money and paperwork to Mrs. Bruder, Mr. Collins, or Mr. Graves. Our next meeting is Tuesday, November 6th. Creative Writing Club: Our next meeting is TOMORROW in room 2430 during the 2nd session of SRT. We will be prepping for NaNoWriMo! If you don’t know what that is, no worries! We will have a short presentation about NaNoWriMo and then set goals, look at prompts, play some speed games, and start writing! Also, don’t forget to bring a ten line poem without the letter T about fall/Halloween. Hope to see you all there! Congratulations to Aniya Hartzler for being named to the First Team All District Girls Soccer Team this Fall. Aniya was voted as one of the top soccer players in the area and will be playing in the District All Star games November 17th-18th at North Central High School in Indianapolis. FCA Club: Just a reminder that we will meet TOMORROW in room 1070 at 7:30 a.m. We hope to see you there! The Crimson Marching Band will perform Saturday at East Noble High School. If you are a sophomore or junior and are interested in participating in our next Europe Art Trip, there will be a general call out meeting for you and your parents TONIGHT at 6:30 p.m. in room 1010 (across from the cafeteria). Please see Mr. Zuber in room 8080 for details. Creative Writing Club: Our next meeting is Thursday, October 18th in room 2430 during the 2nd session of SRT. We will be prepping for NaNoWriMo! If you don’t know what that is, no worries! We will have a short presentation about NaNoWriMo and then set goals, look at prompts, play some speed games, and start writing! Also, don’t forget to bring a ten line poem without the letter T about fall/Halloween. Hope to see you all there! Congratulations to GHS junior Joseph Narayan, who was chosen to be a member of Indiana Department of Education’s Student Advisory Council. Joseph will serve a two-year term on the council. The Advisory Council is composed of one student from each of Indiana’s nine congressional districts, plus two at-large members. They will be invited to the Indiana Statehouse once per semester during their junior and senior years. The meetings will last approximately two hours, and dates will be decided at the beginning of each semester. The purpose of the council is to provide a forum for high school students to participate in meaningful discussions about educational matters impacting the local, state, and national level. Students on the Advisory Council provide valuable stakeholder input for the IDOE. Their first meeting will be on October 30. Congratulations, Joseph. Thank you for representing Goshen High School! The Crimson Marching Band traveled to Lafayette this past Saturday and earned a gold rating and a distinction in music to earn a spot in Semi-State on October 27th. The group will perform this coming Saturday at East Noble High School. SENIORS: Do you need help completing the FAFSA? If so, GHS is offering an opportunity to get free FAFSA filing help for students and families TONIGHT from 6:00-8:00 p.m. in the media center. GHS is partnering with the financial aid experts from INvestEd to offer this opportunity. If you plan on attending, please stop in the guidance office ASAP to get a list of documents you need to bring in order to complete the application. Students and Teachers -Please return all completed flu shot forms to Nurse Wendy. If you are a sophomore or junior and are interested in participating in our next Europe Art Trip, there will be a general call out meeting for you and your parents TOMORROW at 6:30 p.m. in room 1010 (across from the cafeteria). Please see Mr. Zuber in room 8080 for details. Seniors: Goshen College is coming for on-site admissions TOMORROW. This will be the same process as we did with IUSB and PUFW. Please come into the guidance office and sign up. There will be a sign-up sheet on the counter. Choose a convenient time, and we will send a pass for you a few minutes before your appointment. In order to be prepared for your appointment, you have to apply online beforehand! See the link below to apply. If you attend the onsite admissions day, Adriana Ortiz the GC recruiter will waive the application fee for you. As you are filling out the application just skip the fee, and it should allow you to continue on. The essay has to be completed before the appointment. This is very important! You will not be able to meet with her if the essay is not done beforehand. Please plan your essay accordingly and have an English teacher edit it. If you have applied at GC already and have not received your acceptance letter I strongly encourage you to attend! Friday night the Goshen RedHawks took on the Wawasee Warriors in the battle for the WarHawk trophy at Wawasee High School. The RedHawks lost a close game to the Warriors 13-10. Leading the way for the offense was Jack Immel. He had one rushing touchdown. Bryant Grewe rushed the ball for 128 yards. Ricardo Vargas added a 34 yard field goal. Defensively the RedHawks were led by Drew Marlow. He had seven tackles. Julio Navarro had a sack on the quarterback. Daveyon Sanford had two pass break ups. The defense as a group had three tackles for the loss. Saturday morning the JV boys football team took on the Wawasee Warriors losing 34-21. Leading the way for the RedHawks on offense was Mitch Daniels. He had close to 100 yards rushing and two rushing touchdowns. Eddy Flores ran for a touchdown as well. Defensively the RedHawks were led by Clayton Gibson. He had one interception. Isaiah Park and Roman Schrock had multiple tackles. On October 11, 2018, Goshen Community Schools leadership was made aware of texts that were sent from a paraprofessional at the high school to one of the students. Since the content of the texts was inconsistent with policy, the district immediately placed the employee on a leave of absence and contacted law enforcement to review and investigate the messages. District officials noted that since this is an active investigation by law enforcement, all further questions should be directed to the local authorities. If anyone has additional information of concern regarding this incident, the Goshen Police Department should be contacted. If individuals have academic or school questions, they should not hesitate to call the Superintendent’s office or contact their building principal. Goshen Community Schools is committed to reminding all employees about the importance of using text messages and technology appropriately and professionally. In addition, the district will continue to provide orientations and professional development activities that help employees understand both the dangers of technology and how to engage it appropriately. Hispanic people have had a profound and positive influence on our country through their strong commitment to family, faith, hard work, and service. They have enhanced and shaped our national character with centuries-old traditions that reflect the multi-ethnic and multicultural customs of their community. The observation started in 1968 as Hispanic Heritage Week under President Lyndon Johnson and was expanded by President Ronald Reagan in 1988 to cover a 30-day period starting on September 15 and ending on October 15. It was enacted into law on August 17, 1988, on the approval of Public Law 100-402. Hispanic Heritage Month begins on September 15, which is the anniversary of independence of five Latin American countries: Costa Rica, El Salvador, Guatemala, Honduras and Nicaragua. Mexico, Chile and Belize also celebrate their independence days during this period and Columbus Day (Día de la Raza) is October 12. The term Hispanic or Latino, refers to Puerto Rican, South or Central American, or other Spanish culture or origin regardless of race. Today, 57.5 million people or 18% of the American population are of Hispanic or Latino origin. This represents a significant increase from 2000, which registered the Hispanic population at 35.3 million or 13% of the total U.S. population. 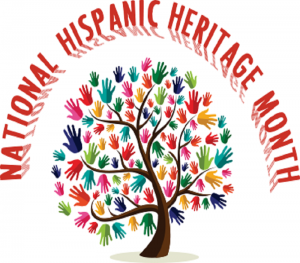 Please share with GCS in this special annual tribute by learning and celebrating the generations of Hispanic and Latino Americans who have positively influenced and enriched our nation and society. Goshen Community Schools Superintendent Dr. Diane Woodworth, Webmaster Megan Eichorn and her GHS student intern Alex Ramos, and Assistant to the Superintendent/PR Lori Martin are teaming up to bring the Goshen community a new video series called the “Superintendent Step In”. In this new series, Dr. Woodworth will go into classrooms throughout the Goshen district every week, and will participate in whatever the students/classrooms are doing. All GCS teachers have been asked to contact the superintendent’s office if they are interested in having Dr. Woodworth step into their classroom, to see what the students are learning and see what they are doing on a daily basis. So far, we have filmed in two classes (Engineering/Design and Weightlifting), and we have two more visits scheduled in elementary classrooms. We hope that the GCS teachers will invite Dr. Woodworth into their classes for the routine things that they do, but we have also invited them to find special challenges for her as well! When each video is ready, it will be posted on the GCS website, the website of the school in which the Superintendent Step In was filmed, and the GCS Twitter and facebook pages. The goal is to eventually visit one classroom per week, and to post videos on Friday afternoons. Look for Dr. Woodworth to show up in future videos in classes like Building Trades, elementary P.E., Music or Art classes, IB Chemistry, or Theater. Dr. Woodworth also taught math before she was an administrator, so we know she would love to visit those classes! The first video will be released tomorrow afternoon, don’t miss it! SENIORS: Do you need help completing the FAFSA? If so, GHS is offering an opportunity to get free FAFSA filing help for students and families on Monday, October 15th from 6:00-8:00 p.m. in the media center. GHS is partnering with the financial aid experts from INvestEd to offer this opportunity. If you plan on attending, please stop in the guidance office ASAP to get a list of documents you need to bring in order to complete the application. IB Students: Please turn in your registration form to Mrs. Haney in the office. It’s imperative that you do this TODAY. You will not be able to test if you don’t submit this form by the deadline. If you have any questions, please see Mrs. Collins or Mr. Nichols. If you are a sophomore or junior and are interested in participating in our next Europe Art Trip, there will be a general call out meeting for you and your parents on Tuesday, October 16th at 6:30 p.m. in room 1010 (across from the cafeteria). Please see Mr. Zuber in room 8080 for details. Seniors: Goshen College is coming for on-site admissions on Tuesday, October 16th. This will be the same process as we did with IUSB and PUFW. Please come into the guidance office and sign up. There will be a sign-up sheet on the counter. Choose a convenient time, and we will send a pass for you a few minutes before your appointment. In order to be prepared for your appointment, you have to apply online beforehand! See the link below to apply. If you attend the onsite admissions day, Adriana Ortiz the GC recruiter will waive the application fee for you. As you are filling out the application just skip the fee, and it should allow you to continue on. The essay has to be completed before the appointment. This is very important! You will not be able to meet with her if the essay is not done beforehand. Please plan your essay accordingly and have an English teacher edit it. If you have applied at GC already and have not received your acceptance letter I strongly encourage you to attend! CONGRATULATIONS TO THE WINNERS! Thank you to all who participated in the grand opening celebration at Interra Credit Union’s RedHawks Branch. We hope you had fun spinning the Wheel of Surprises, and we are pleased to announce the following door prize winners: Aysiah Ortiz is the winner of a $20 Buffalo Wild Wings gift card, Daniel Ramirez wins a $20 Dunkin Donuts gift card, and Andrea Murillo gets a pizza gift card from Little Caesar’s! The Interra RedHawks Branch will be closed TODAY due to the testing schedule, but the winners may pick up their gift cards at the Interra RedHawks Branch on Friday at the kiosk located in the commons area. Attention all wrestlers – We are in charge of concessions for the Boys Soccer Regional on Saturday, October 13th. The sign-up list is in the main office. All Wrestlers are expected to work. Football players will work the 2nd time slot after football. See Coach Pickard if you think you have a conflict. All Stay In Bounds Ambassadors are to meet during the 2nd session of SRT in the main gym TOMORROW to organize groups, pick t-shirt colors, and to assist in training of the new Ambassadors. Our first visits will be in November. Boys JV football took on the Plymouth Rockies. They fought a tough battle, but came up short to the Rockies losing 22-19. Alex Ubaldo ran the ball very well for the RedHawks. He had one rushing touchdown. Mitch Daniels also added another rushing touchdown as well as a passing touchdown of 60 yards. Ben Wengard caught that touchdown pass. Defensively the RedHawks forced four turnovers. Isaiah Park forced two fumbles and recovered both. Demitrius Starks had one interception. AJ Brinson had one force fumble with Duncan Green recovering. 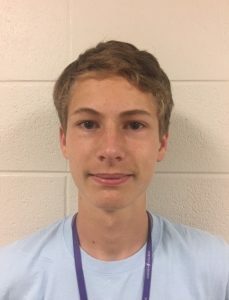 Goshen High School senior Jonathon Snyder has been recognized as a National Merit Commended Student for the Class of 2019. Of the more than 1.6 million students who took the 2017 PSAT, some 34,000 qualify for recognition for their outstanding academic promise as National Merit® Commended students based on their National Selection Index score. Commended students placed among the top 5% of the students who entered the competition by taking the 2017 Preliminary PSAT/National Merit Scholarship Qualifying Test (PSAT/NMSQT®). CONGRATULATIONS TO THE WINNERS! Thank you to all who participated in the grand opening celebration at Interra Credit Union’s RedHawks Branch. We hope you had fun spinning the Wheel of Surprises, and we are pleased to announce the following door prize winners: Aysiah Ortiz is the winner of a $20 Buffalo Wild Wings gift card, Daniel Ramirez wins a $20 Dunkin Donuts gift card, and Andrea Murillo gets a pizza gift card from Little Caesar’s! The Interra RedHawks Branch will be closed TOMORROW due to the testing schedule, but the winners may pick up their gift cards at the Interra RedHawks Branch on Friday at the kiosk located in the commons area. IB Students: Please turn in your registration form to Mrs. Haney in the office. It’s imperative that you do this by TOMORROW. You will not be able to test if you don’t submit this form by the deadline. If you have any questions, please see Mrs. Collins or Mr. Nichols. In order to be able to vote in this year’s election you must have a valid Indiana Driver’s License or Indiana State ID Card, be a citizen of the United States, be at least 18 years old on or before November 6th, 2018, have lived in your current precinct for at least 30 days, and not currently be in prison after being convicted of a crime. Go to https://indianavoters.in.gov/ to register online. The deadline to register is TODAY. There will be a Spell Bowl meeting TODAY in room 2100 during the 2nd session of SRT. Make sure you bring your word list! There will be a swimming and diving callout meeting TODAY in Mr. Younghans room (2310) during the 2nd session of SRT. Anyone interested should plan on attending this meeting. See Mr. Younghans if you cannot attend. There will be a call out meeting TODAY for the Women’s Empowerment Club in room 2060 during the 2nd session of SRT. There will be a call out meeting TODAY for anyone interested in cheerleading for basketball season during the 2nd session of SRT. Meet on the upper deck in the main gym. Contact Coach Sloan with any questions at kristy.sloan@goshenschools.org. For all girls interested in playing basketball this season, we will have a quick meeting TODAY during the 2nd session of SRT with Coach Hill in room 8030 to pick up your updated October schedule and to answer any questions you may have. Multicultural Youth Dance Club (MYD) will have a call out meeting TODAY during the 2nd session of SRT in Whiteman Gym. GHS is starting up an ESports Club for this year! There will be a call out meeting TODAY during the 2nd session of SRT in the Main Gym. The club will be using League of Legends, Defense of the Ancients 2, or Heroes of the Storm initially to develop the club with a chance to grow into more platforms. If you have an interest in ESports, want to learn how to play ESport games, or want to increase your own skills come check it out! If you have any questions please contact Mr. Perry at mperry@goshenschools.org. All Stay In Bounds Ambassadors are to meet during the 2nd session of SRT in the main gym on Thursday to organize groups, pick t-shirt colors, and to assist in training of the new Ambassadors. Our first visits will be in November. The Goshen girls soccer team gave state ranked Northridge all they could handle Monday night in a close sectional final battle. After a 1-1 halftime draw, Northridge scored with 20 minutes left in the game to hang on for the 2-1 win. In her first appearance for the RedHawks this year, senior Megan Bullock scored on an assist from Joselyn Guevara. Maddie Rittenhouse had eight saves in goal to help keep the game close. The girls finished the year with an 8-10 record and a sectional runner-up title. Thanks to everyone who came out and supported the GHS soccer girls this year! IB Students: Please turn in your registration form to Mrs. Haney in the office. It’s imperative that you do this by Wednesday, October 10th. You will not be able to test if you don’t submit this form by the deadline. If you have any questions, please see Mrs. Collins or Mr. Nichols. In order to be able to vote in this year’s election you must have a valid Indiana Driver’s License or Indiana State ID Card, be a citizen of the United States, be at least 18 years old on or before November 6th, 2018, have lived in your current precinct for at least 30 days, and not currently be in prison after being convicted of a crime. Go to https://indianavoters.in.gov/ to register online. The deadline to register is TOMORROW. There will be a swimming and diving callout meeting TOMORROW in Mr. Younghans room (2310) during the 2nd session of SRT. Anyone interested should plan on attending this meeting. See Mr. Younghans if you cannot attend. There will be a call out meeting TOMORROW for the Women’s Empowerment Club in room 2060 during the 2nd session of SRT. There will be a call out meeting TOMORROW for anyone interested in cheerleading for basketball season during the 2nd session of SRT. Meet on the upper deck in the main gym. Contact Coach Sloan with any questions at kristy.sloan@goshenschools.org. For all girls interested in playing basketball this season, we will have a quick meeting TOMORROW during the 2nd session of SRT with Coach Hill in room 8030 to pick up your updated October schedule and to answer any questions you may have. Multicultural Youth Dance Club (MYD) will have a call out meeting TOMORROW during the 2nd session of SRT in Whiteman Gym. GHS is starting up an ESports Club for this year! There will be a call out meeting TOMORROW during the 2nd session of SRT in the Main Gym. The club will be using League of Legends, Defense of the Ancients 2, or Heroes of the Storm initially to develop the club with a chance to grow into more platforms. If you have an interest in ESports, want to learn how to play ESport games, or want to increase your own skills come check it out! If you have any questions please contact Mr. Perry at mperry@goshenschools.org. The girls cross country season came to an end when they finished 7th at the sectional meet. Yadira Sanchez and Kayleigh McKee both advance to the regional meet as individuals. Yadira Sanchez paced the girls team placing 19th, Kayleigh McKee 33rd, Kassidy Bestul 44th, Brandi Smith 46th, Lauren Kauffman 49th, Sophia Koshmider 51st, and Julie Walton Clark 54th. Congratulations on your season! The boys cross country team lost the team championship to Elkhart Memorial by 1 point. They advance to the regional meet Saturday. Felix Perez Diener was the overall winner followed by Jonathon Snyder 7th, Angel Arreola 10th, Adrian Mora 21st, Cole Johnston 23rd, Ryan Diaz 24th, and Sam Miller 26th. Boys varsity football took on the Plymouth Rockies. The Rockies beat the RedHawks 49-31. Leading the offensive charge for the RedHawks was Bryant Grewe. He had three rushing touchdowns. Colin Turner also had one rushing touchdown. Ricardo Vargas added a 31 yard field goal. Defensively, Daveyon Sanford had one interception. Julio Navarro and Drew Marlow both had a tackle for loss.